It is going to be an active month. 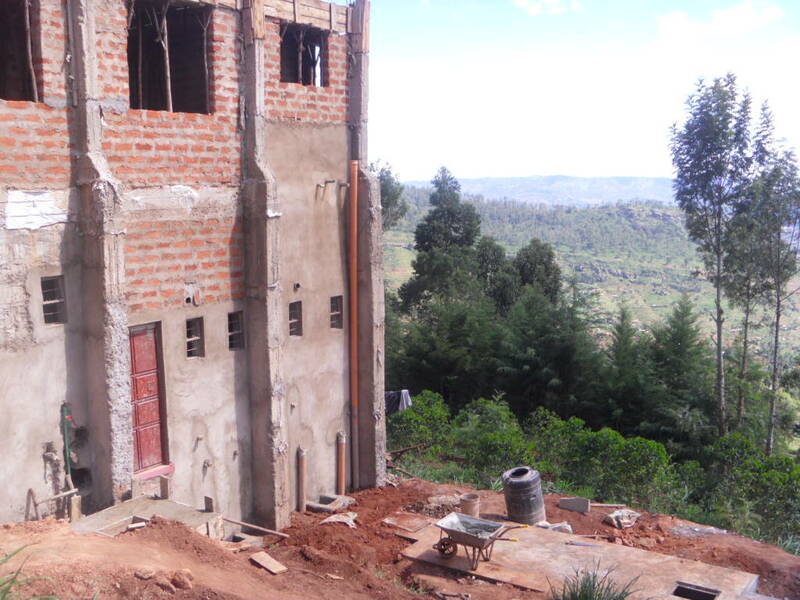 I leave for Kenya on June 8 – meeting my son in Amsterdam – and then the two of us along with his good friend Jack will be travelling through Nairobi to Tanzania where we will be climbing Mount Kilimanjaro and then up to our orphanage. Other sponsors in the program will be travelling to join us over the next few weeks including my niece Emily, Michelle, Bilaal, Jordan and April. 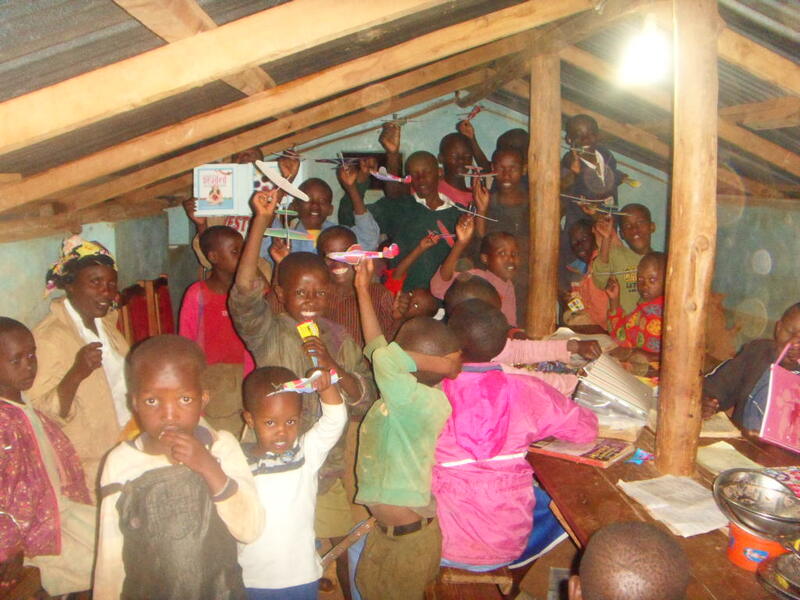 All will be spending time up in the program in Kikima. I will be ‘tweeting’ as I spent time in Africa, up and down the mountain, and then from the children’s residence where I hope to have a number of the orphans ‘tweet’ out messages to the world. Follow along as we travel. The next update will be done in September and cover the entire summer and will detail all of the construction to complete the new building and detail how all of the funds raised this month will have been spent. This is the last update until September when I will be back to report on all the events of the summer – hopefully the addition will be completed and the kids will have moved in! This was written by my wife, Anita, who went to Glenforest to both present our program and to receive the cheque for the funds raised. “Students at Glenforest Secondary deserve a large and sincere congratulations for their efforts and contributions towards the Creation of Hope fundraising efforts at Glenforest this year. The final amazing sum of $4,500. 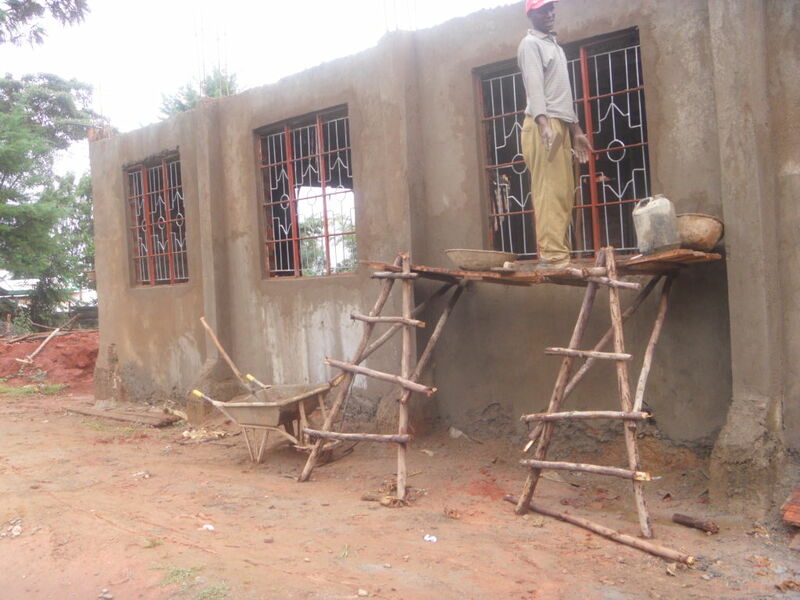 will go a very long way in Kikima Kenya towards constructing a building to house orphans and will also be used in a very personal gesture to fill the wish list of a single orphan. You may see photos and read the acknowledgements on line at www.creationofhope.com under the updates section. Thank you to Ishani Shah and her executive committee, the staff advisor Ms. Suzanna Meszaros, all the members of the Youth for Global Action Committee who worked so hard all year in order to achieve this amazing contribution. Thank you to all. You can be proud to know that Glenforest students are indeed global citizens who have improved the plight of the poorest of orphans in Kenya, giving them hope for the future. Students in St. Marguerite d’Youville donated $17.00 – requested not to be named – to purchase 3 blankets and part of a fourth. As well a teacher from St. Marguerite d’Youville was moved to make a personal donation to The Creation of Hope at the end of a presentation. A donation from White Oaks P.S. In March Mr. Walters spoke to our school. His message was about children our age making a positive difference in the world. One of the students in our class took that message to heart and came up with an idea to have a bake and craft sale to raise funds for his Creation of Hope foundation. Once this student shared her idea with her friends many more ideas sprang up and before we knew our whole class was involved in a Baked Goods/Gently Used Toys & Books/Craft Sale. We were fortunate with our timing because one of our classmates was having a street sale that we could participate in. Through the community’s generous and overwhelming support we were able to raise $321.25, and we are very proud to donate every penny to Mr. Walter’s foundation. Thank you to everyone who supported us, and thank you Mr. Walters for helping us realize that we can all make a difference! Students of Mr. French’s Grade 5 class at White Oak P.S. I was presenting at Joseph Howe Senior Public School in Toronto and spoke to the Grade 7 students about The Creation of Hope. At the end of the presentation a number of students came up to see me and donated – out of their pocket. Thank you Steven, Hannah, Justin, Taylor, Kyle, Reshawn, Tharman, and Meghan for donating $36.00. That money will be used to purchase seven blankets for orphans in Kikima. This has been a very active month. 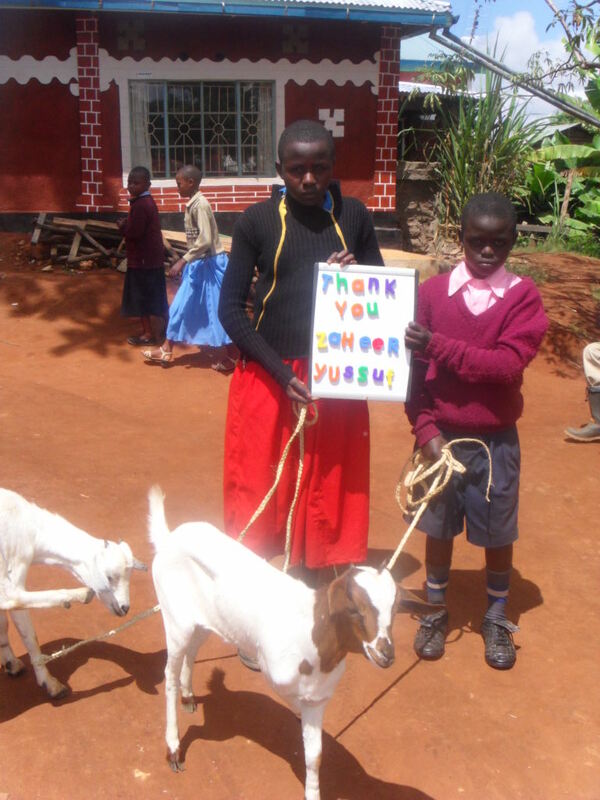 Kay was over from Kenya and along with my wife toured a number of schools that have been amongst our strongest supporters. $1416.98 – This money is to provide for two wishlists and then for greatest needs. In addition two students at Lisgar made individual donations. Meaghan raised the money by requesting that rather than receiving presents at her birthday party than money be donated to The Creation of Hope. Brendan has become an ongoing supporter of the program. Caring seems to run in this family. Sierra Lewis, a student from William Dunbar donated $100. One of our wonderful sponsors, Paul, donated three laptop computers. One was already brought back by Kay, I’m bringing a second when I leave on June 8 and Michelle is bringing a third later on in June. These computers will be part of a computer bank we are building at the children’s residence to help create computer literacy for our children and ultimately help them connect to their sponsors and students in Canada. A boy at Norwood District Public School – A.J. – reached into his pocket and gave all that he had . . . which is the most generous offer anybody can ever make. His 50 cents will go toward planting two saplings. Technically I shouldn’t be listing this until June but Rolling Hills once again ran their Hoops for Hope basketball tournament and raised $8000.00! This will be fully documented in the next update! This is also June but I wanted to note it. I presented at St. Joseph The Worker Catholic school in Thornhill. After the presentation the students of Mrs. Mazzuca’s class reached into their pockets and donated $21.24. This will become blankets for four orphans. When Kay returned from her time in Canada she brought with her some presents for the children. You can see how much they enjoyed these presents. 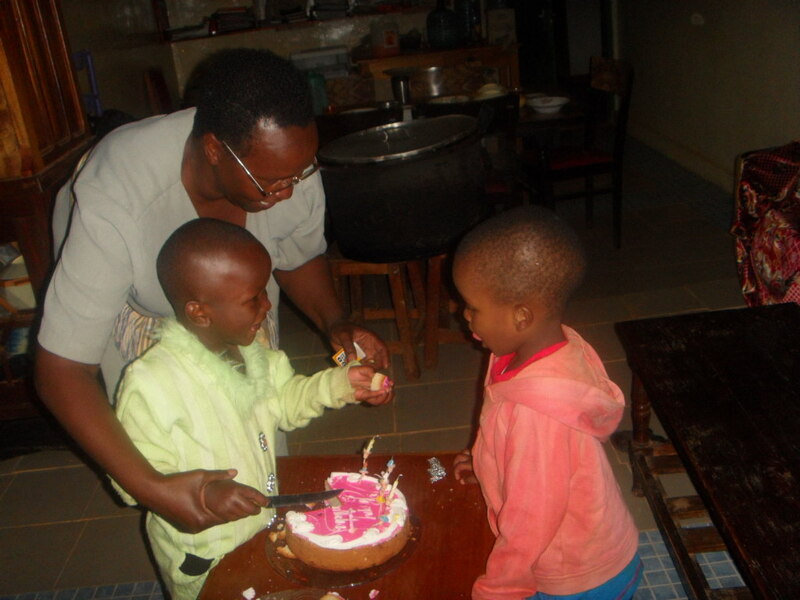 A special birthday party for one of our children, Mueni, funded by her sponsor. 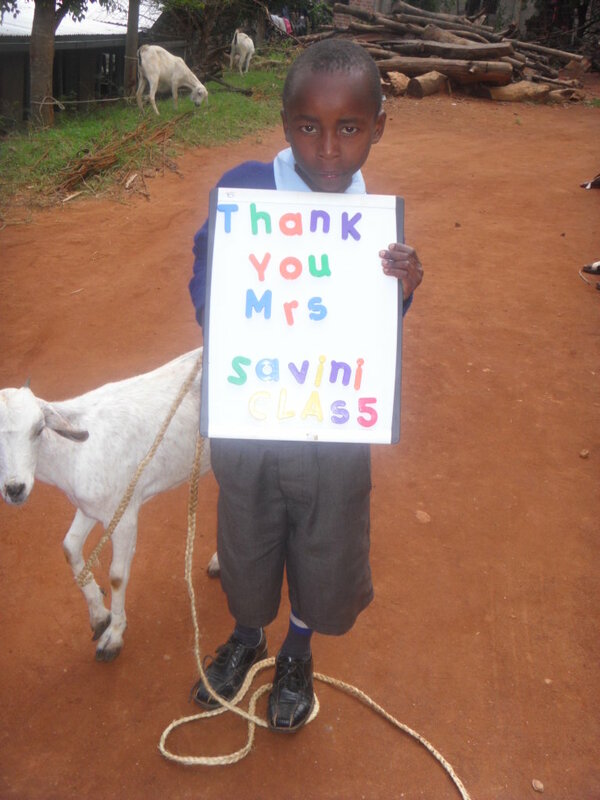 While school is ‘free’ until the end of grade8 in Kenya there are still ongoing costs for each student. Emily Dawber wanted to provide a present for her father, Fred. 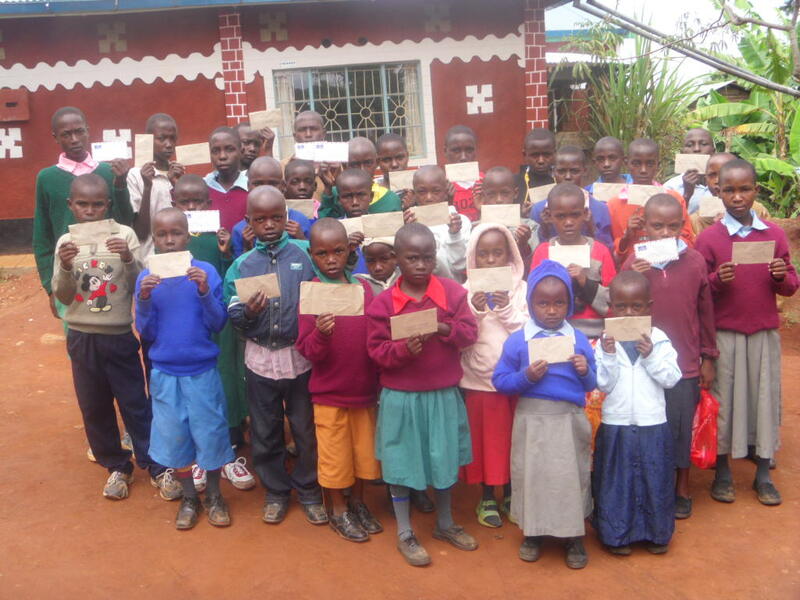 She provided funds that covered the school costs for all of these children! 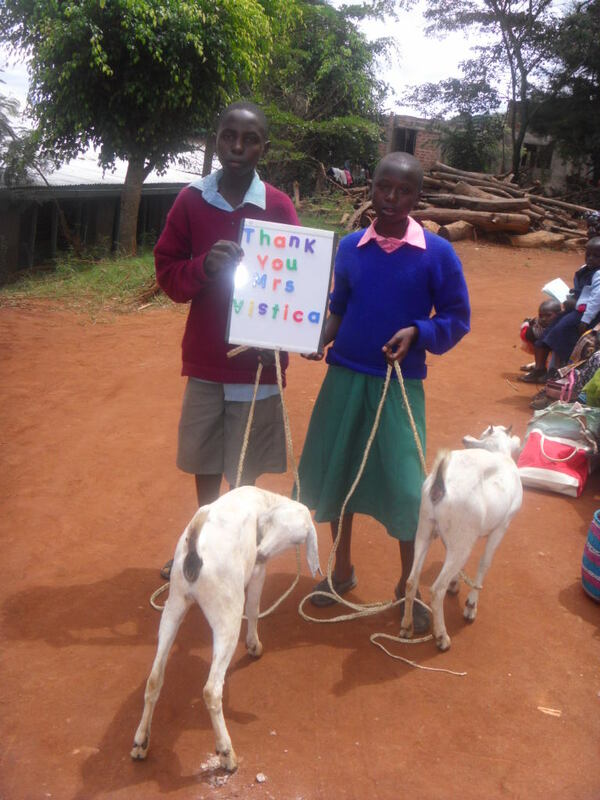 New sponsors continue to become part of the program – changing the lives of the children of Kikima. As always we try to make a genuine connection between the child and the sponsor. 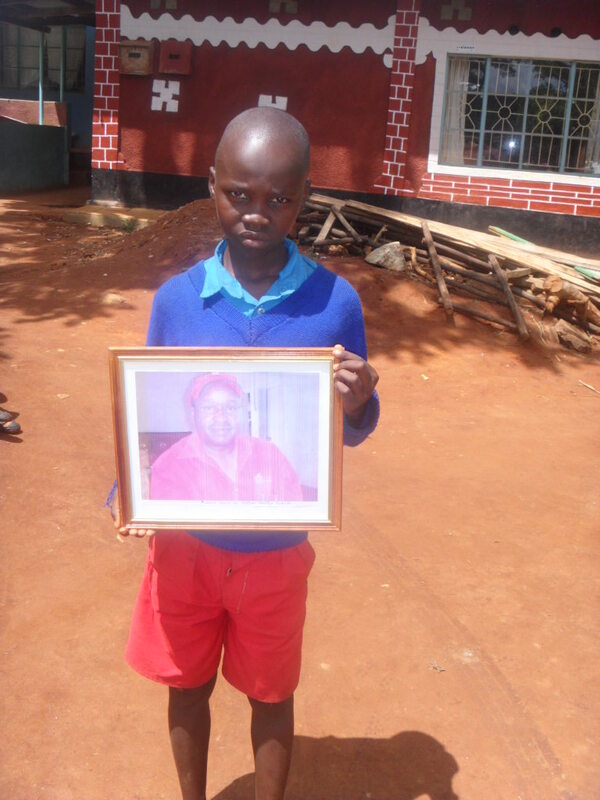 This is Raphael holding the picture of his sponsor – Richard. 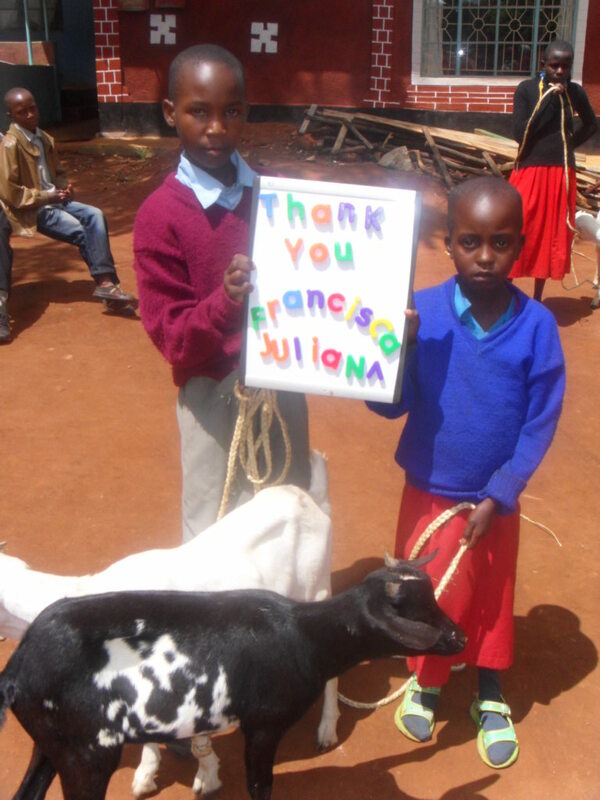 We are so fortunate that so many Kenyans have stepped forward to sponsor orphans.